Are YOU fit to judge me? Former House Majority Leader Tom DeLay, reveling in victory Thursday against Texas prosecutors in a money-laundering case, said his political career is over but he’s eager to return to the courthouse. If he can find a lawyer “with a backbone,” DeLay said, he’ll considering suing the Travis County district attorney for the eight-year legal clash that ended with an appeals court tossing his conviction. “I cannot take this laying down. For the welfare of the people that serve in the future, I can’t just let this go,” he said. The threat was vintage DeLay. As the GOP’s No. 3 leader in the House after the 1994 takeover, he earned the nickname “The Hammer” for an aggressive style that cowed fellow Republicans and tormented Democrats. Yes, and like other best-forgotten relics of bygone decades, he’s back to enjoy a moment in the sun and to try to cash in while he still can. I wouldn’t go lawyer-shopping just yet, however, since there’s still the small matter of the state’s appeal to the CCA. Mark Bennett thinks that the top court’s all-GOP panel isn’t likely to grant discretionary review, but with all due respect to his infinitely greater knowledge of the criminal justice system, I disagree. The CCA may be a bastion of Republicans, but they’re pro-prosecutor first and foremost. Maybe there’s enough overlap between Republicans and prosecutors in this state to conflate the two, but I believe there’s a difference. I mean, just ask yourself: What would Sharon Keller do? Sure, maybe she’s rubbed elbows with Tom DeLay before, at a fundraiser or an execution-watching party, but do you think that’s enough to overcome her bedrock belief that anyone who’s been arrested for a crime must be guilty of something, and it’s her job as a judge to make sure they stay guilty for it? Anything is possible, I guess, but expecting Sharon Keller to buy the argument of a defendant seems like a losing bet to me. Yes, I know she’s not the only judge on the CCA, but the rest of them are hardly flaming defense attorneys. And before you suggest that Keller might listen to the arguments before making up her mind, I have to ask – Have you ever read one of her opinions? The facts don’t exist to shape her opinion, the facts exist to be shaped to fit her opinion. Who are we kidding here? If Sharon Keller wants you to be guilty, that’s all the fact she needs. Anyway. Point is, this still isn’t over. And to answer Lisa Falkenberg’s question about the two guys that pled guilty, Jim Ellis and John Colyandro both had provisions in their plea agreements that took into account the possibility that DeLay’s conviction could get tossed. As such, I think they’re both pretty happy right about now. Can you believe it’s been ten years? Interesting that you provide no analysis of the opinion and why you disagree with it. You merely impugn the character and motives of people you dislike. 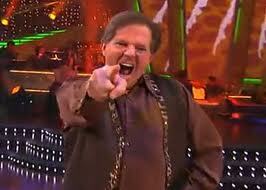 I’m impugning Tom DeLay and Sharon Keller. They both deserve it. I’m sorry if you don’t like it.